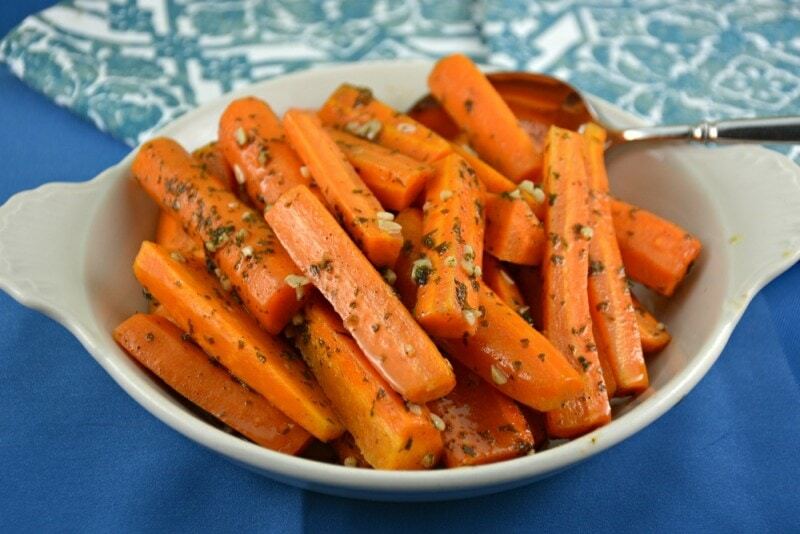 Baked Garlic Butter Carrots are so easy to make and delicious! I often buy a stick of garlic butter to save some time and make this recipe even easier and a little faster! These carrots are absolutely delicious! We are carrot people! We love them and eat them regularly. 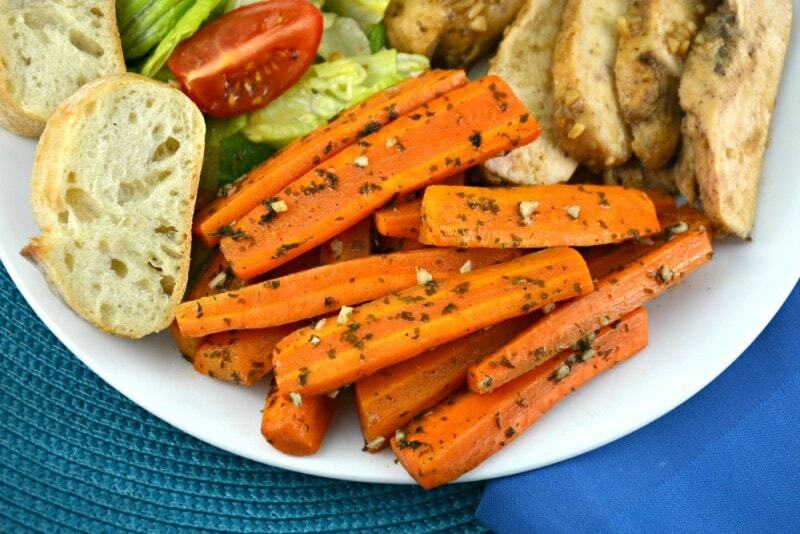 These Baked Garlic Butter Carrots are definitely a favorite around here! My husband ate buttered carrots growing up and prefers this recipe to plain old butter! These Baked Garlic Butter Carrots are so easy to make too! Mix, toss and bake! Recipes do not get any better than this! I throw these carrots into the oven while I am cooking chicken or another main course and they are usually finished around the exact same time! 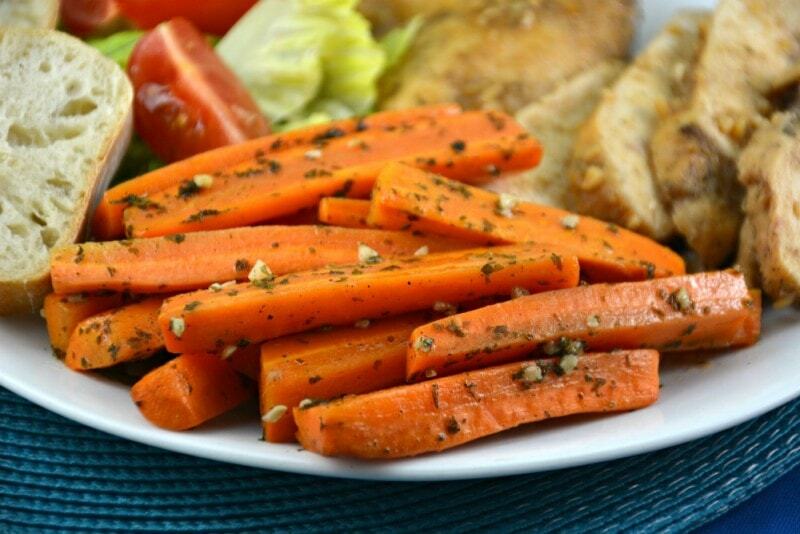 For those of you that love carrots like we do and are looking for some other ideas besides these Baked Garlic Butter Carrots, I have listed some other recipes below for you to check out! We make them all regularly. As I mentioned, you can just buy a stick of garlic butter, melt it, toss with the carrots and throw the carrots right into the oven! 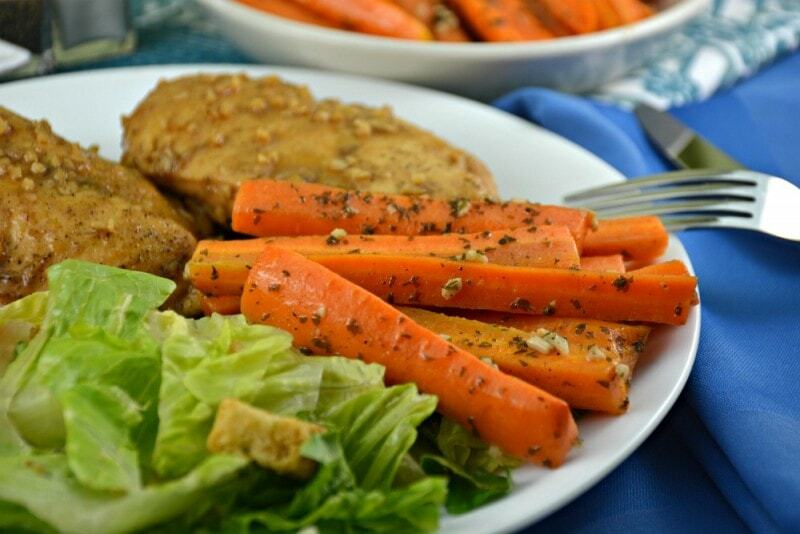 You will save yourself a bit of time and the carrots will still taste so good! We made a video for you to check out! I really hope you do. 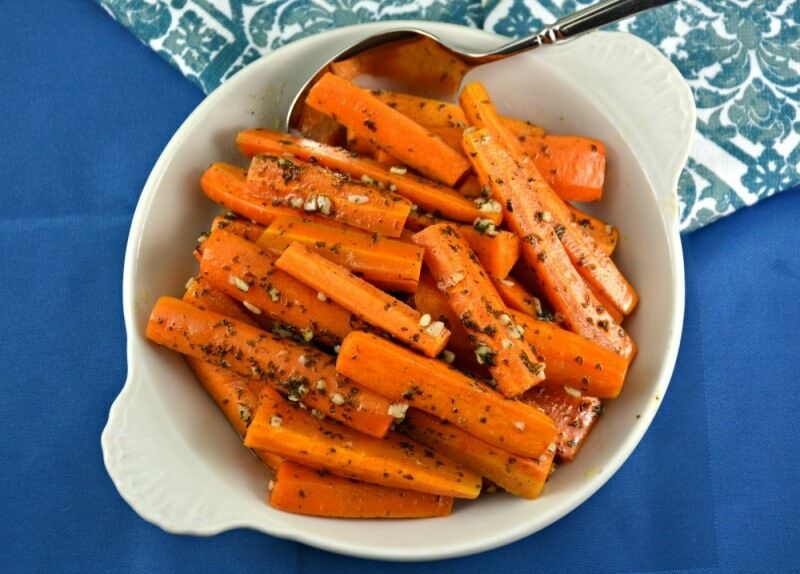 These Baked Garlic Butter Carrots are definitely worth a moment of you time! Preheat your oven to 350 degrees. Prepare an oven safe casserole dish with cooking spray and set aside. In a small bowl combine butter, garlic, pepper and parsley. Melt mixture in your microwave or oven. You can also use a garlic butter stick to save some time. Cut up your carrots and set aside. I usually cut the carrots into sticks. If you slice them reduce your cooking time by half or until they are done to your desired tenderness. Remove bowl with melted butter mixture and toss carrots with the mixture. 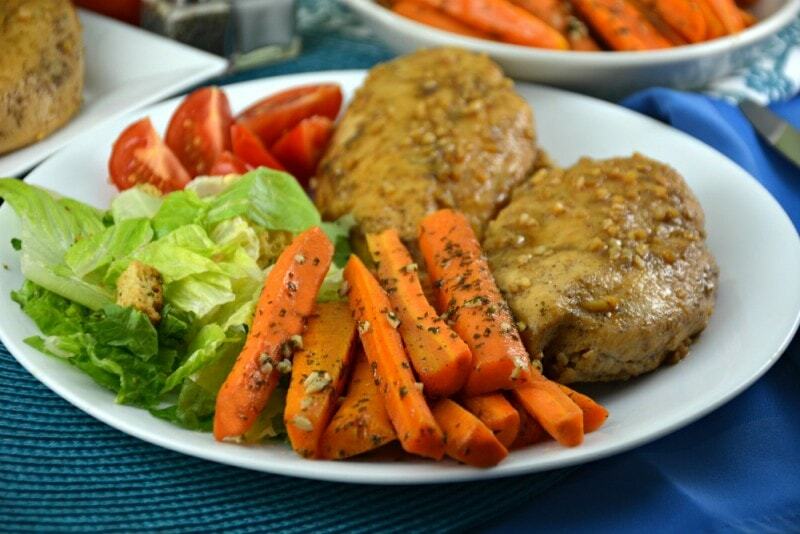 If you are using a casserole dish, place carrots inside the dish and pour your melted butter mixture all over them. Using a spoon adjust carrots until all of them are coated. Bake, covered, for 45-60 minutes, or until carrots are tender. Adjust or baste carrots periodically, You will be glad you did! Remove from oven and transfer to a serving plate or just serve from your casserole dish. Delicious and hubby approved. Will definitely make again. Thanks for sharing. So easy to make. I used a stick of garlic butter and they were loved by all. Thank you. I will be trying all of your carrot recipes. I love these carrots and will be making these often. Thank you for sharing.